There's the slightest hint of fall in the air which inspired me to break out Hello Honey and Blackberry Bliss for this "slightest hint of fall" card. The new set Lighthearted Leaves has images that work well for this time of year! I am a four seasons gal through and through and always look forward to a change in the seasons. 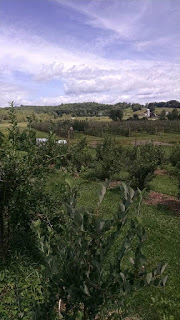 We went blueberry picking here the other day and walked back past the orchard checking out all the green apples......can't wait for those first crunchy Macs! So while I wait for those Macs to ripen there is plenty of time to craft! Hope you join us this week at Pals Paper Arts! So pretty Linda! I sure wish that we had the slightest feeling of fall in the air...we're stuck under some tropical air mass so it's been raining, hot and humid here!! 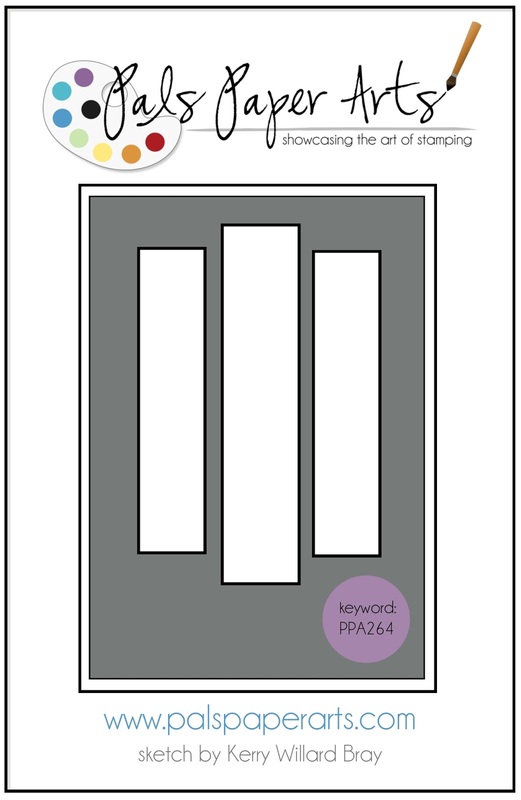 Clean and simple--Nice card, Linda! Love those Fall colors and those leaves! Your white panel really showcases them too on that Blackberry background! 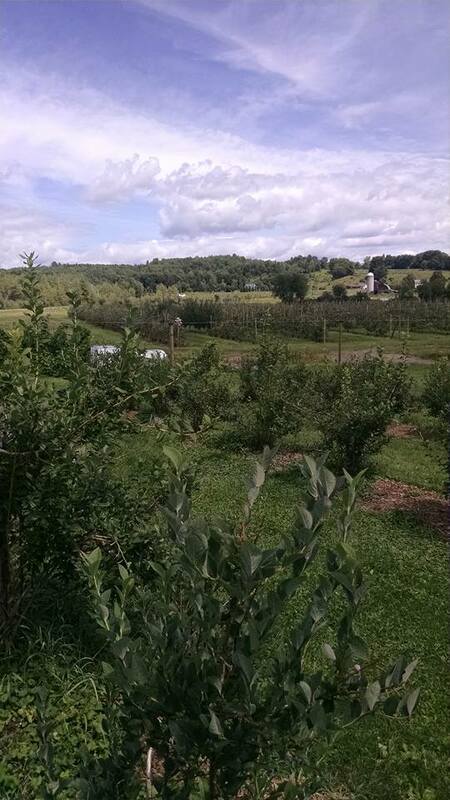 The Honey Crisp are in not too far from here and I'm ready to go pick...even if it is hot & humid! Love this simple design and yet it packs a punch! Love the blackberry color too...except I seem to wear more ink than I spread on paper. I too love the change of season. I'm waiting for our annual Apple Pie Bake.... accompanied by Apple Caramel Martinis,... and ends with Hot Apple Pie A-la-mode! hugs. I'm ready for fall too especially with these gorgeous colors! Fresh Macs sound so good! So beautiful and elegant as always! 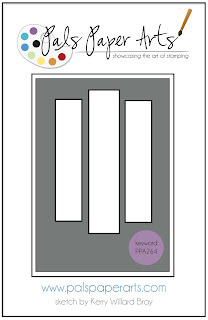 I love the color combination you chose too. Beautiful! I love these colours together! I love everything about this card, Linda! The color combo, the way the large leaf pops and the bit of thread around it; it's just great. Beautiful take on the sketch! I love all four seasons as well, especially fall! What a striking card Linda! I love the combination of colors and the graphic leaf images. I especially love the little bit of thread wrapped around the stem of the large leaf. Fantastic card Linda! Love the clean lines! 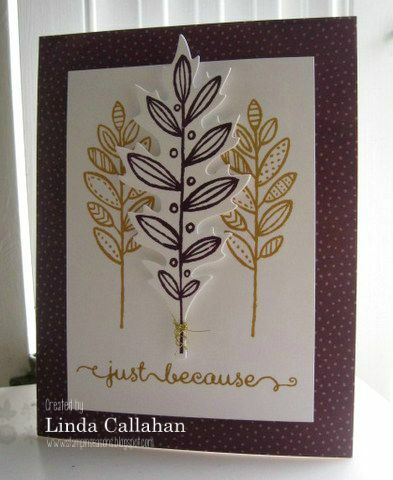 Simple, yet strikingly beautiful card Linda. I love the thread around the center leaf and the background paper. Thanks for sharing. You just moved this set to the top of my wishlist! Beautiful card! Our apples ripen in July instead of Fall. Our nights have cooled off, so Fall is certainly coming!